May has been a busy month and there are many things to report. The pocket park consultation is continuing, it is important to have your say. To do this you must write directly (before June 15th) to the Council saying if you approve or not with a reason why if possible. The Natural Resource Management Board have agree to remove the poplars from Brownhill Creek near Cranbrook Ave. This has taken a long to time to get approval and it may be still a while before the work begins. The toilet block for Page Park is being constructed off site, it will be installed before the end of June. The pergola at the tennis courts is also needing to be replaced and will be done with in the maintenance budget. A sign will soon appear to say when the courts are booked by the Fairmont Tennis Club and when they are available for public use. Also staff are investigating the cost of putting a gate on the western entrance. One of the interesting topics to be discussed is the possible inclusion of the area near the football club rooms to be including in the non-smoking areas to be investigated by Council. I have had many complaints about the cleanliness of the public toilets. I met with a staff member at the Orphanage Park toilets to demonstrate that the cleanliness of these toilets is not up to scratch. While they were a little better than they had been on my last visit there was still a lot of room for improvement. I have been given an undertaking that there will be a higher standard achieved in following weeks. This will also include the Dora Guild, Princess Margaret and Goodwood Oval toilets. A nappy disposal bin will also be provided at Orphanage Park. I attended the Clarence Park Community Centre Board meeting held last week. DETI are considering, on Council request, to reduce the speed limit on Goodwood Rd to 40km/hour between Victoria St and the tram line. As it is very difficult to drive faster than this at the best of times this is a worth while initiative. 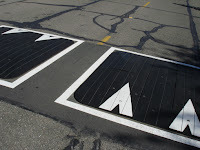 During the election campaign there were many comments about the need for yellow lines to prevent parking near corners. The result of this is that there will soon be some extra line marking on the corner of Dryden and Gordon Rd. There will also be consultation regarding Spiers St and Millswood Cresent (near the corner on Mills St). The winter Unley Life should be in your letterbox this week. Take the time to read what everyone else is doing. The new layout is easier to read with more colour contrast and larger print. Why are these devices so hated in Byron Road? Loss of on street parking. The petition has been presented to Council and will appear in June's Agenda. The information in it was the very reason that Don and I were able to get some money into the budget 2011/12 for a traffic study in the area. The levee on traders in Fullarton Rd; This proved to be quite an issue as the traders who responded to the consultation do not want to pay a levee. However, traders on the other main streets pay a levee to their traders association that allows each precinct to spend money to promote and upgrade their streets. This has worked effectively for a number of years. Budget documents for 2011/12 for Centennial Park Cemetery. Safe pedestrian access near building sites: How often have you noticed that when the builder moves in the footpath is overtaken with all sorts of builders material and the pedestrians have to walk around the site in whatever way they can manage. This caused a little debate and disappointment was expressed about the time footpaths take to repair and the amount of damage done to them. Ultimately the builder has to reinstate the footpath or reimburse the Council when it repairs the damage. Staff now photograph the site before the builder starts so there can be little dispute about the existing condition on completion. One footpath that seems to have been missed in this is Merlon St. We didn't resolve the access issues during building. Review of Confidentiality Orders; which items can now be released to the public and which items should remain confidential and why. I am looking forward to the meeting of the Clarence Park Community Centre Board on the 25th May. What a pleasant surprise to get this thank you from a resident. I often get thanks from people I help on a particular issue. This one came out of the blue from someone that I don't know. It made my day. I'm a Canterbury Terrace, Black Forest resident and have lived here since my early 20s, in the early 1990s. I have followed your involvement in local government and voted in support of you (and, until he was unsuccessful in his bid for mayor's role, Les Birch) for many years. I thought it was about time I let you know that I am very pleased with the representation you are providing for me in council. I have just read your most recent newsletter for Goodwood South, and it is a refreshingly straightforward account of what's happening. No spin, no glossy pictures - just some facts about stuff that interests me such as the progress of various works around the area. It may sound petty of me to say it, but it is a great relief to read something that is not full of euphemisms and weasel-words. The words and actions described within the document are what are is important. I know that local government work can be very unrewarding at times and it would appear that you've had a bit of a tough time over the past 6 months. However, I am happy you're doing that work and I applaud it. Thank you for your efforts and the benefits they've brought to my household while I've lived in this terrific area. Hope you have all received the newsletter. A joint one with my co-councillor, Don Palmer. For those logging on for the first time, let me know what you think and write me an email so I can send you a note when I update the site. Continuing support for Urban Myth: Theatre of Youth. Urban Myth are looking for a new home as they have outgrown their site on the Village Green. Council will continue to support this organisation because of it's value in involving young people in our community. Final approval for a pocket park in Lindsay Ave, Myrtle Bank. This will look great when it is finished, go and have a look one day when you have time and then again in 6 months time when it has been completed. All affected houses were in support.Limiting the number of participants in the Solar Easy programme to 200. So far Council has only 180 expressions of interest, so if you were meaning to do this late applications may be accepted. A review of some policies including the Community Engagement Policy. This was a considerable debate as Councillors believed that both the Elected Members Code of Conduct and the Media Policy needed more work. The Media Policy came under severe criticism as it had clauses that appeared to be intended to gag Councillors from talking to the press. the Community Engagement Policy must now be publicly consuled as required by law. A review of the campaign against illegally dumped rubbish. Interestingly the amount of dumped rubbish has been reduced by 45%. This has still cost over $30,000, money that could well be spent on other things if people did the right thing and booked a pick up with the Council and put their rubbish out on the given day. Contrary to popular belief most rubbish is dumped in front of single family dwellings . Walk lights on Goodwood Road activated at last, a safe pedestrian crossing near Victoria street allowing for safe passage across the road near St. Thomas' School, Kirkholme and the Capri Theatre. The picture shows the Mayor celebrating with Cr Salaman. I had to be at work at the time they were activated. Solar Easy is a joint Council initiative, it's aim is to facilitate a bulk purchasing scheme for solar systems.. Council is currently seeking registrations from households and businesses to participate in this programme. Registrations should be emailed to mark@sustainabledirections.com.au or call 0459764675. More information is available on Council website at http://www.unley.sa.gov.au/site/page.cfm?u=773&c=17984. We installed panels in December 2009 and our total electricity bill for 2010 was about $250. Storm water management; Mitcham Council has at last signed back into the project and after stalling for 3 years this project is now moving forward. 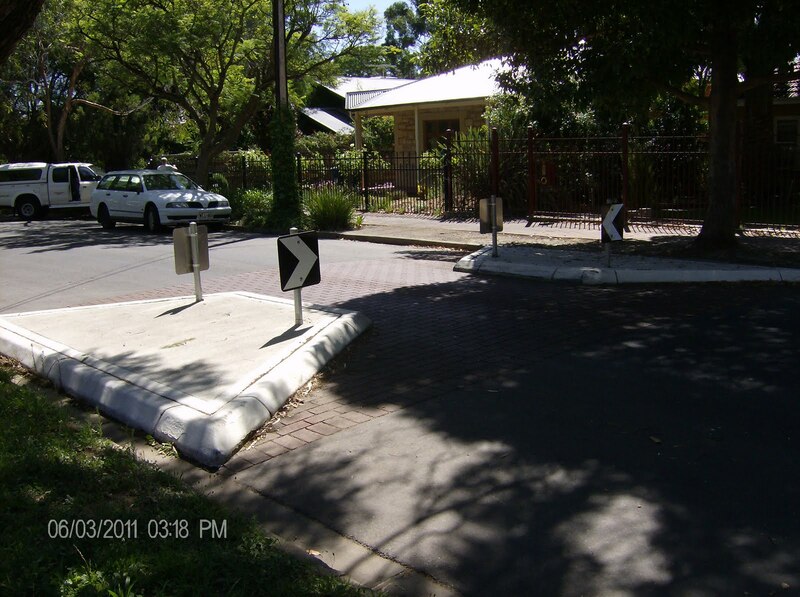 The site given will take you directly to the Council website; http://www.unley.sa.gov.au/site/page.cfm?u=773&c=17980. Upon request detailed floodplain modelling maps can be provided to residents which can drill down to show the actual risk of the property to a flooding event. 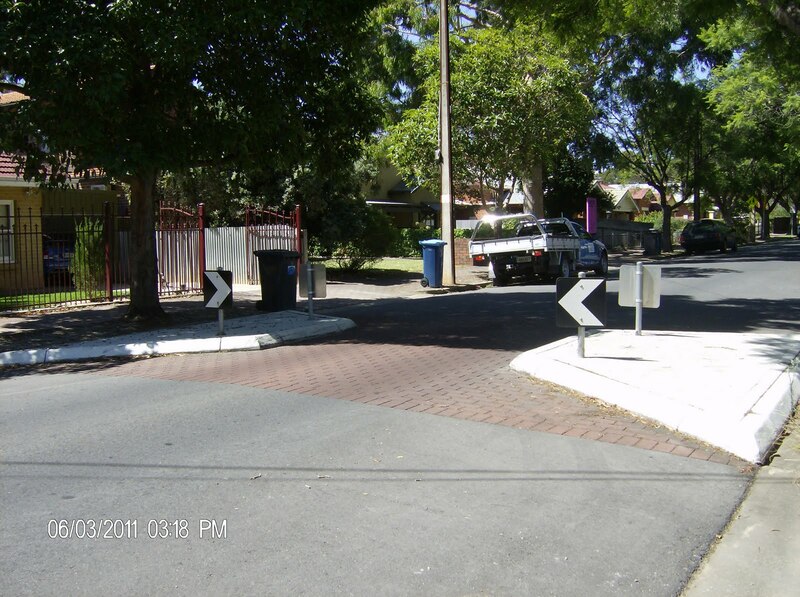 Depot review; Council is undertaking a review into the services provided by the depot. I am particularly interested in knowing what your views are on what happens when you make a request. Is it seen to quickly enough? Do staff get back to you to explain why delay is occurring or if your request is unfunded or not seen as a priority? Newsletter out this week, Don and I have been working on the May newsletter, we have decided to put out a joint publication. For those of you who read my blog you may find nothing new, however, I would encourage you all to let others know about the blog and to give me their email addresses so I can let them know when I update the site.